First, I need to say thanks to JeanAnn Harrison who has been going above and beyond the call of duty to help run these sessions and come up to speed as a facilitator. 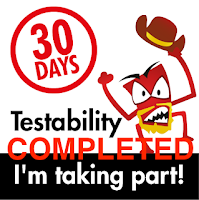 It's unlikely that I will ever disengage completely from Weekend Testing, I think it's a valuable service and i want to encourage its growth. Having said that, it's nice to know there are other facilitators who are willing and able to run things if for some reason I cannot be there :). The following is from JeanAnn and would be a good starting point for everyone if they want to participate this Saturday. Come join me on Saturday 2/9 at 1PM EST/10AM PST for the February session of Weekend Testers Americas. 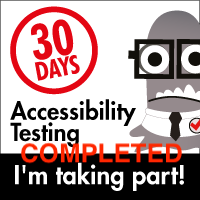 We will be performing tests on the Facebook versions for the Mobile Phone, Tablet and Laptop/Desktop. What kinds of tests should be performed on all 3 configurations and what different tests need to be performed based on the configuration? What are the differences pertinent to the desktop application in comparison to the mobile version? How are the advertisements presented on the desktop version vs the mobile phone and tablet versions? What about the newsfeed on each configuration? Are they the same? What are the differences of the application on the phone, tablet and desktop? Will the Android version be very different than an iPhone or iPad? What can we learn in how we test all configurations? Does the operating system make a difference from device to device? Does the device make a difference: mobile phone over tablet?